Hangzhou Jiamo Textile Co., Ltd. The innovative, breathable fabric will allow heat to escape while cooling the area, reducing temperatures up to 15 degrees. 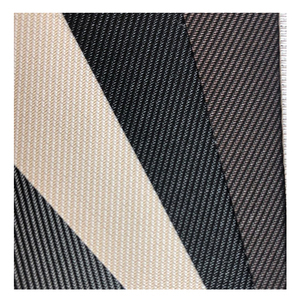 The weaving machine is imported, making the strips absolutely straight, make the fabric perfect, the strips will not go in weave. Strict quality control, make sure low defects rates and every inch of fabric you buy is all perfect. Hangzhou Nottingson Home Fashion Co., Ltd.
Shaoxing Keqiao Hongyu Tracery Co., Ltd.
Our company and factory located in Shaoxing, China and welcome to visit. 6. Q: How about the delivery time9 A: It depend on the quantity. If you need the goods urgently,we will make our efforts to shorten the delivery time. Shouguang Tianhe Blinds Co., Ltd.
Baoding Ruikang Textile Co., Ltd. If you are the first time to cooperate with us, the postage should be paid by you. 2) If you are very urgent to get the price, please call us 3) The price is changing always. 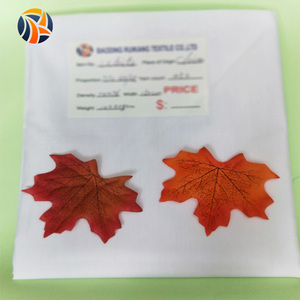 2) If your delivery time is not urgent, we will arrange production with surcharge. Hangzhou Zhiyue Import And Export Co., Ltd.
any designs can be selected from our pages or write mail to us. 4. OEM service accepted, we can produce any designs per your samples. 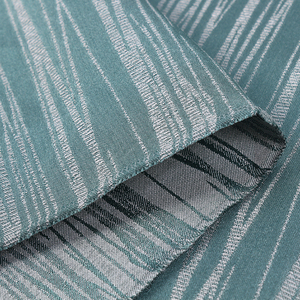 2.Jacquard curtain fabric is widely used in project decorating.home decor.etc. 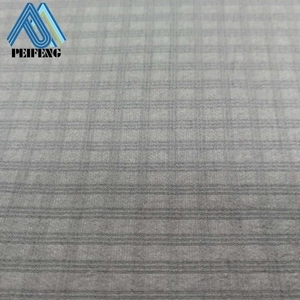 Suzhou Ruihe Textile Technology Co., Ltd.
Wujiang Pengnuo Textile Co., Ltd.
Jiangyin Longxing Intl Co., Ltd.
Fuzhou Songyuan Knitting Co., Ltd.
Suzhou Double Thai Textile Co., Ltd.
UV Protection Fabric 1.Material 100% polyester or Nylon 2.Technics dyed+Coated with PU/PVC/Silver+Waterproof+Retartant Flame +UV Protection 3.Color by customer's requirement 4.Weight 30GSM-600GSM(thick:0.08-0.72mm) 5.Density 40- 40 0T 6.Width 57''/75'' 7.Using scope Awning,Gazebo,Tent,Car Cover, Washer Cover ,Umbrella , Curtain,Raincoat,Uniform 8.Packing PP bag and woven bag ,also according to your requirement 9.MOQ 10,00meters /per color 10.Payment T/T,L/C 11.Test AZO FREE 12.Certification FORM E / FORM CO / FTA and so on 13.OEM Accepted Yes 14.Logo Customize,Printed or embossed 15.Samples Time (1)3-10days. 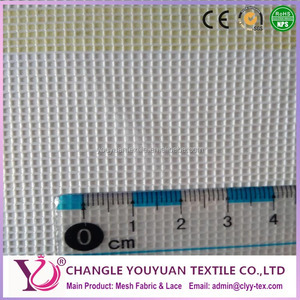 For our existing samples for reference 16.Production Capacity 200,000mts per day Packaging & Shipping Our company specializing in the production of UV Protection fabric ,thickness 0.1-0.6mm, weight: 60-600g/m2, width: 150-210cm; waterproof fabric pressure can reach above 10000MM, fabric for bags, tents, packaging, outdoor supplies, air duct, tarpaulin and other uses, if you have any questions, please feel free to contact us, I hope we can give you professional answer. Thank you for your visiting,any questiones,don't hesitate to contact us! Lusa Textile (Suzhou) Co., Ltd.
Changzhou Jietai Textile Co., Ltd.
Hangzhou Sino Union Import & Export Co., Ltd.
welcome to&gt;&gt; Hangzhou SINO Union Imp & Exp Co.,Ltd. China Alibaba 600D polyester water proof shower curtain fabric Composition: 100% Polyester Yarn Count: 150D 210D 300D 420D 600D 900D 1200D 1680D 1800D 900*900 900*600 600*600 600*300 other Supply type: Make-to-Order or In-Stock Items Density: 60-126T Weight 140-450g/m Width: 58/60" Style: Plain, twill, reticulate, 120 mesh Coated Type: PVC / PU / TPU / PE / TPE / ULY / PA / PEVA/SILVER etc. welcome to&gt;&gt; Hangzhou SINO Union Imp & Exp Co.,Ltd. Suzhou Shiqi Textile Co., Ltd.
Jiaxing Zhouye Textile Co., Ltd.
Shaoxing Zaicheng Flame Retardant Sci-Tech Co., Ltd.
(1)Multi-functional curtain fabrics were used in blackout fabric , roller curtain, wallcloth and etc. (4)Other flame-retardant fabrics were used in sofa, tenting, advertising materials and etc. 3. At least 10 years concentration on blackout curtain fabric assure you that every detail is well finished. 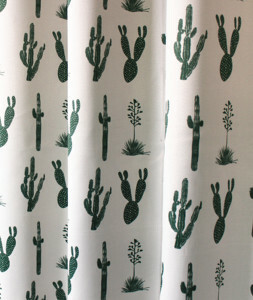 Alibaba.com offers 99 breathable light proof curtain fabric products. About 3% of these are 100% polyester fabric, 2% are bag fabric, and 1% are curtain. 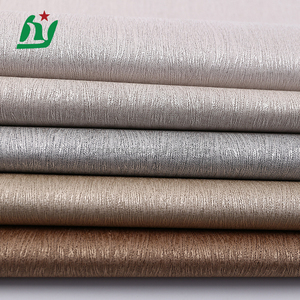 A wide variety of breathable light proof curtain fabric options are available to you, such as home, hotel, and cafe. You can also choose from blackout, flame retardant, and anti-static. As well as from polyester / cotton, 100% polyester. And whether breathable light proof curtain fabric is yarn dyed, or coated. 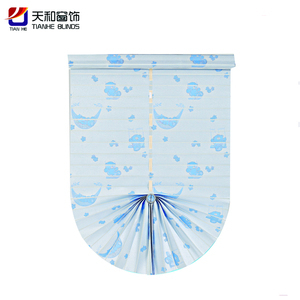 There are 19 breathable light proof curtain fabric suppliers, mainly located in Asia. 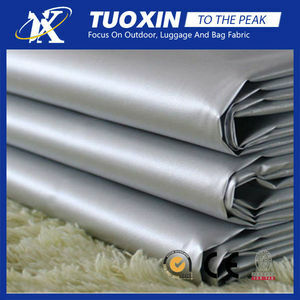 The top supplying country is China (Mainland), which supply 100% of breathable light proof curtain fabric respectively. Breathable light proof curtain fabric products are most popular in Domestic Market, North America, and South America.